This is our little Bella's nursery. (Yes this post is 9 months behind). The second we saw the positive pregnancy test, my mind started racing with dreams, prayers, and plans for our little tiny baby. I didn't let myself start thinking about nursery plans until I made it through the first trimester. Nursery planning for a new mom, keeps our minds busy and away from all the "what ifs" and anxieties of pregnancy. 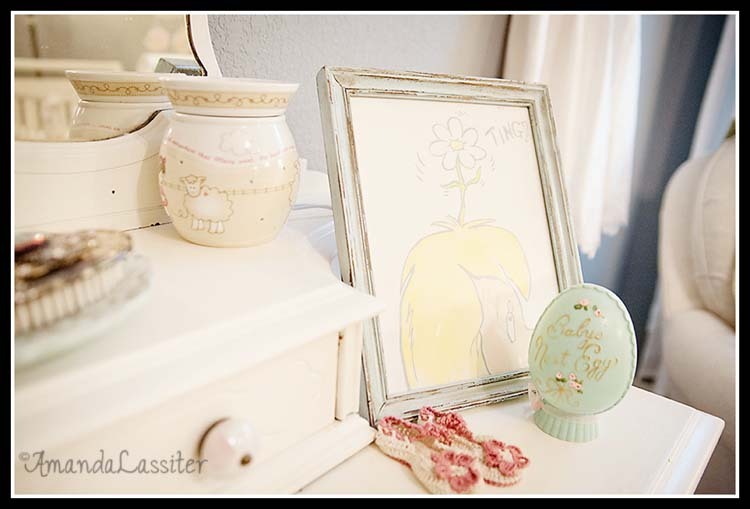 filling her room with vintage goodies. 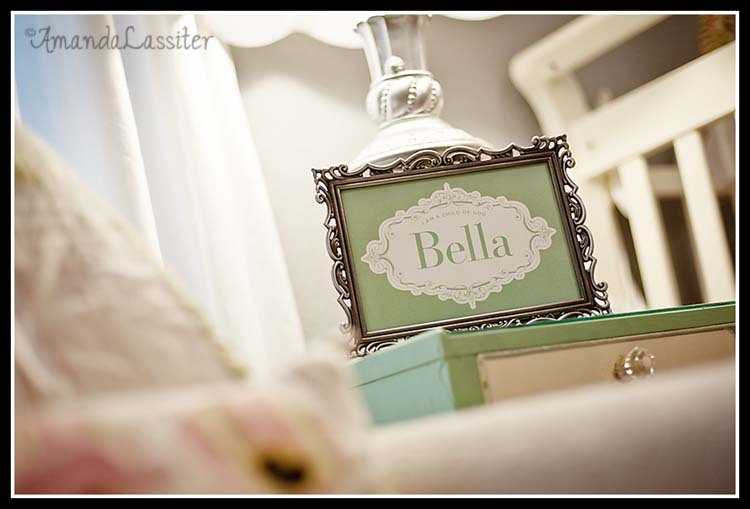 I scoured antique stores and flea markets in Wichita, Oklahoma City, and Tulsa to find all of Bella's decor for her room. Only a few things in her room were actually store bought. We started out by painting her room a neutral gray. We used "gravel" from Restoration Hardware. 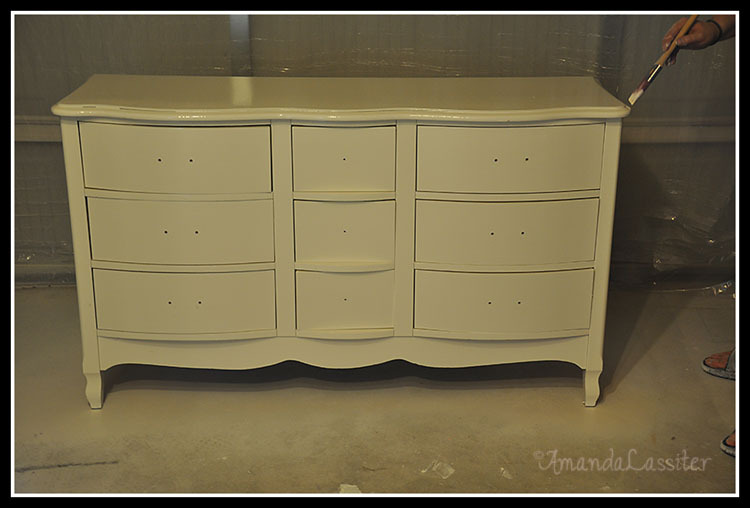 Once it was painted white, we painted the handles and knobs a metallic silver. But it still was blah. 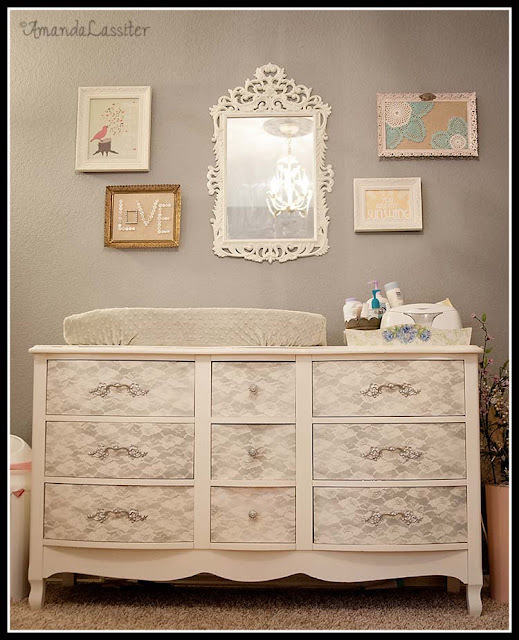 I saw a tutorial on one of my favorite blogs about using lace as a stencil on furniture. Just the added detail it needed to give it a "shabby chic" look. I bought a roll of Lace at Hobby Lobby and taped a piece to each drawer using painter's tape (of course I forgot to take pictures of this step). I then spray painted over the lace. I let it dry for an hour and then pulled off the lace (long enough so it wasn't dripping wet but before the lace dried to the drawers). It gave it just the look I was hoping for. 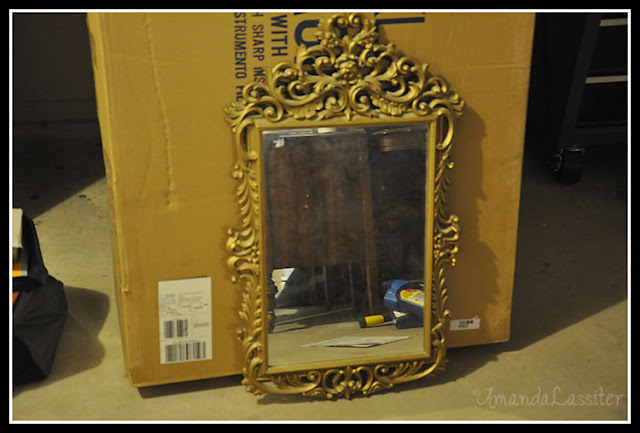 The mirror over her dresser I bought at Salvation Army for $3 and we painted it the same color as her dresser. All four pieces of art were purchased from Etsy. 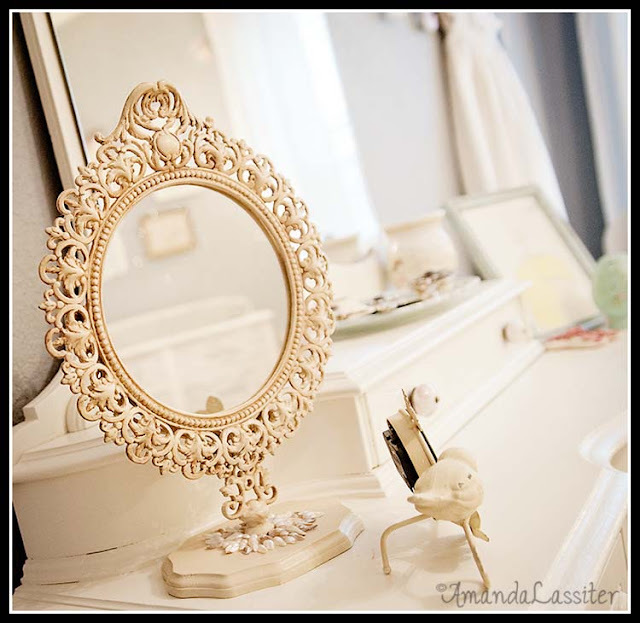 The vanity in her room was my mine growing up. My parents bought it as an antique with their bedroom set right after they got married. I got ready for every prom, every homecoming, every single day of school in front of that vanity. I ruined the finish with spilled nail polish remover and curling irons. 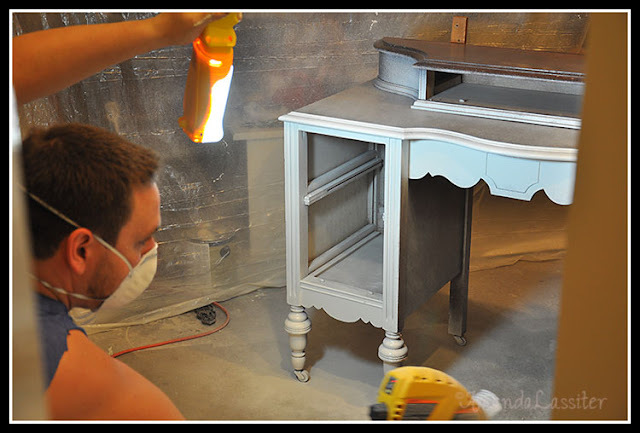 We primed it and painted it the same white as the dresser. The "Daizy head Mazie" print was painted by her Uncle Will. We love Dr. Seuss in this family! My mom custom made her bedding using vintage prints and antique chenille. 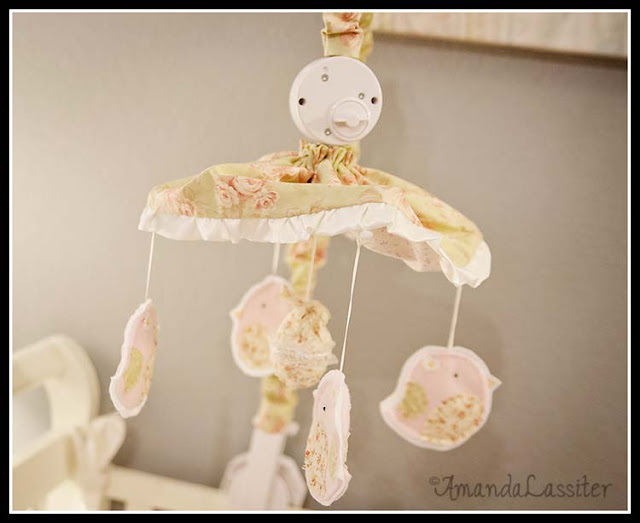 She made the adorable mobile using the same material she used for the bedding. My mom also made the beautiful quilt that drapes over the back of Bella's rocker and the the owl pillow (made from her bedding fabric). My mom is so talented! I was so blessed to have her help in designing and decorating Bella's room. 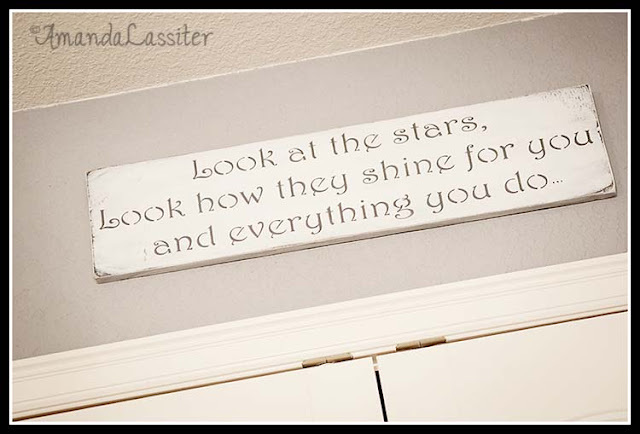 The sign hanging in her room. A line from one of her dad and I's favorite Coldplay songs. What a beautiful nursery! I love all the stories behind all the pieces of furniture. Just proves you do not have to go broke to have a baby girl. Everything is so beautiful! 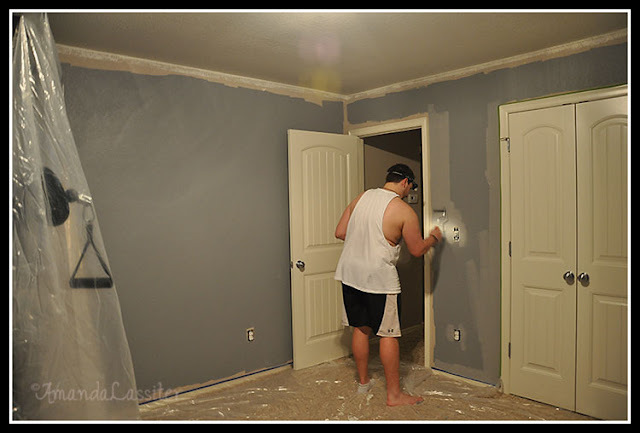 I never would of thought of using gray on walls but it looks great. I love that quilt too. Oh my goodness, this is beautiful!!!!!! This is sooo pretty! 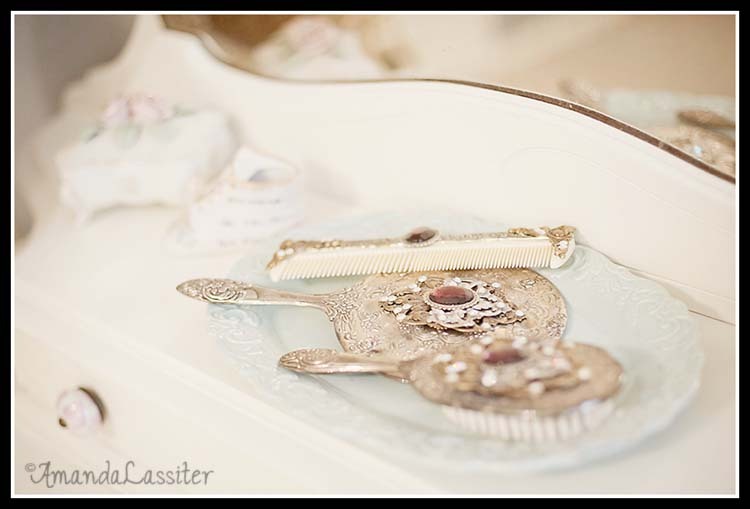 I love the lace stencil dresser. Did you by chance see it from Kara Paslay's blog?? If so, I love that blog too! Thanks Megan! 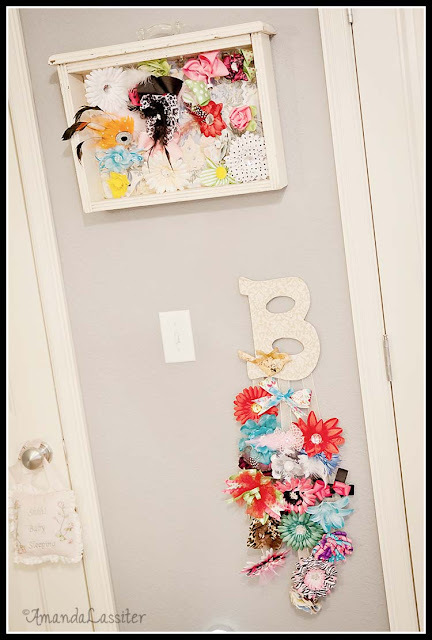 No I saw it on recaptured charm :) I saw the tutorial and knew I had to recreate it for my Bella's nursery! Thanks! Yes the rug is soooo soft! I will definitely visit your blog! That room is simply lovely! What a lucky little lady! I never knew you could do that with lace...beautiful! 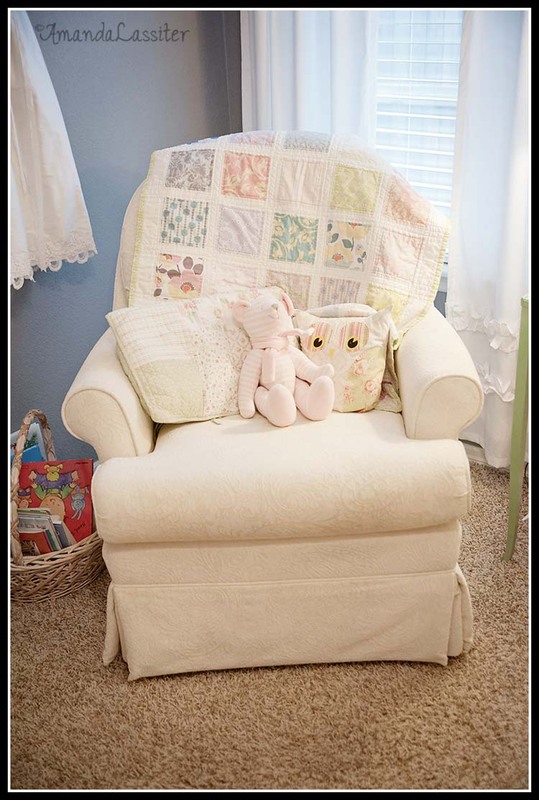 This nursery is so sweet and very elegant. 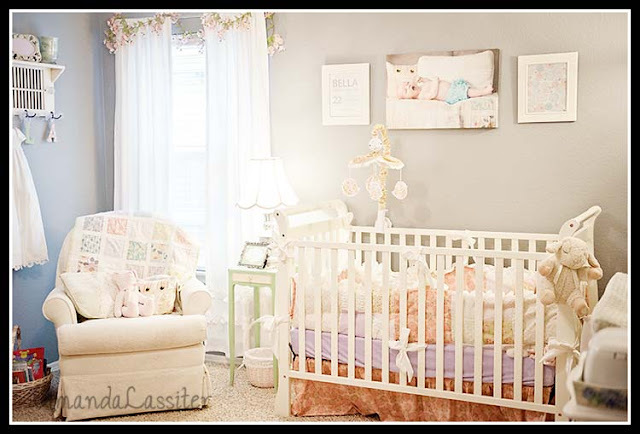 Your little one is going to have sweet dreams in this room! Great job! P.S I am your newest follower! Yay! I love followers :) And thanks for the sweet compliment! This is gorgeous! It all came together perfectly- the entire room looks so elegant! Amazing and so beautiful! I feel a feature coming on! Thank you for sharing this at simply creations link party! Gorgeous nursery girl! I LOVE everything about it! You all did a fantastic job and created such a sweet place for your little one! Remember to link back to the party if you want to befeatured :). Also can't help but notice your blog name. LOL! In the blog world I'm still known as "The Stories of A to Z" and it's my facebook page name. Would love it if you'd consider changing your blog name. Thank you! Hi Aimee! Thanks so much! Love your blog. 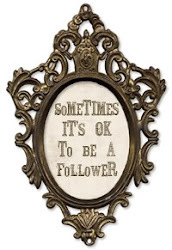 I am your newest follower and I linked up to your party :) Have a great Sunday! Such a beautiful room, you did an amazing job! I love everything about your nursery! 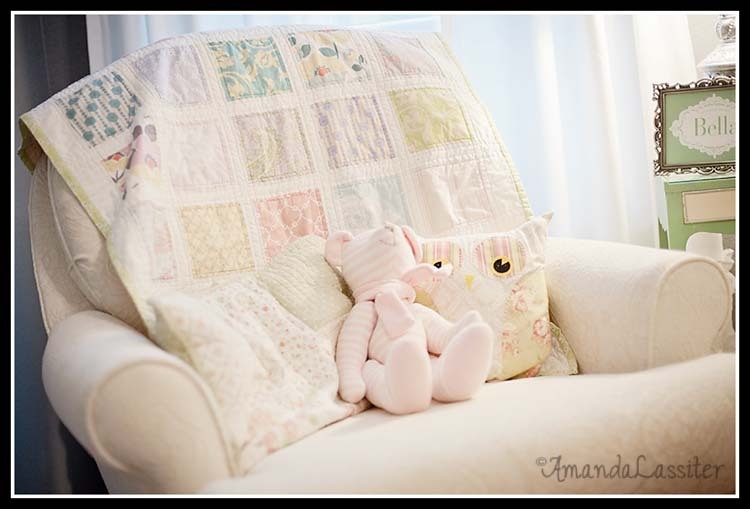 It's just beautiful and perfect for a little girl! I am simply drooling over everything in this room. The dresser turned out fantastic. 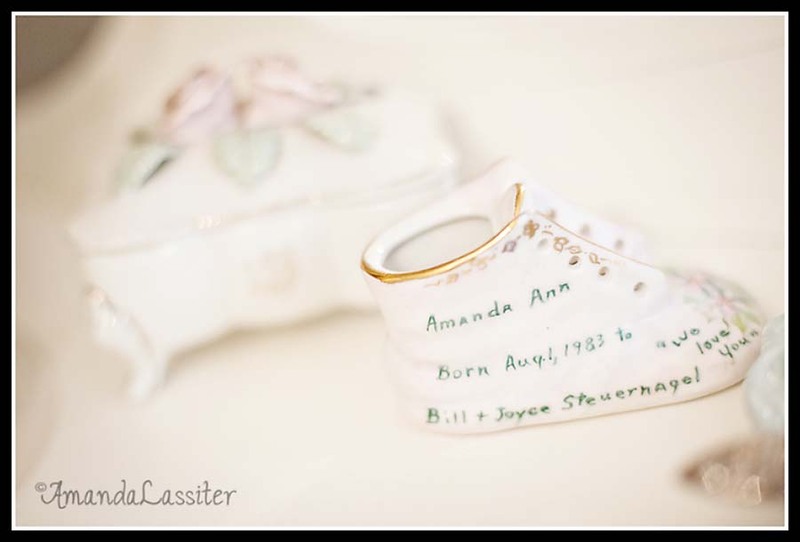 Every stitch of detail is perfect and I love the little vintage shoe. A little piece of her heritage. VERY pretty room! I love it...absolutely beautiful! I'm a new follower & can't wait to see what you do next! I'm totally in love with this room. SO adorable-I love all the little details! I will have my first any day now, but we're moving in a couple months so we haven't set up a nursery yet-it's been hard not to! I am so in love with your room here. HOW BEautiful!!!! Beautifully done! 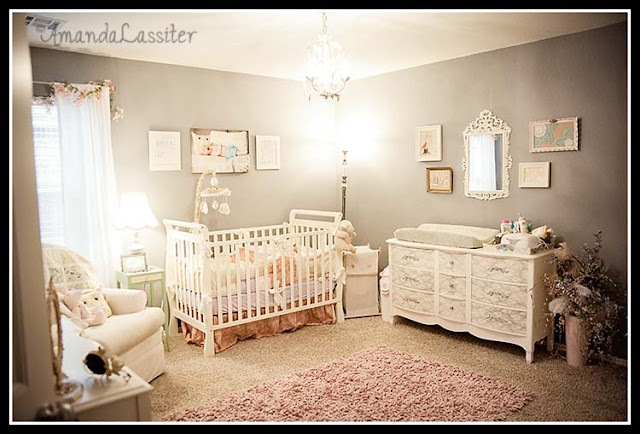 If I ever need a nursery again this is how I want it to look! WOW-WEE!!! I'm featuring you this evening at Creative Juice. I'll be sharing at my pinterest, twitter, and facebook as well. I have already commented on this post before, but I saw you featured over at "Yesterday on Tuesday" and decided to come back over and tell you again how much I love this nursery and that I am now your newest follower. Great job! 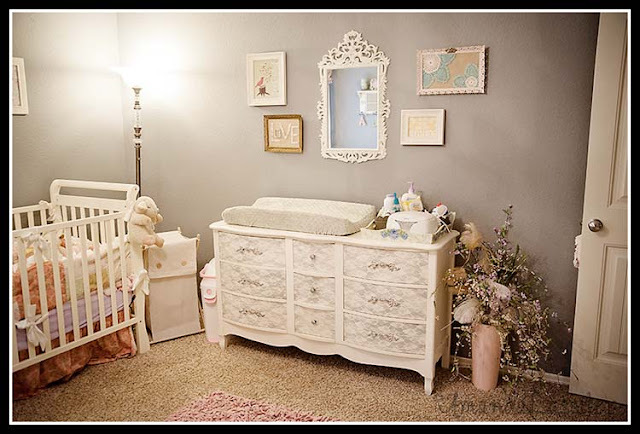 This nursery is beautiful! I love the furniture and all the art accessories. We have a 3-month old, and I'm still working on her room, so this is some great inspiration! 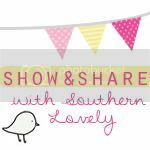 I'd love it if you'd share this at my Show & Tell party, going on now @ the Delectable Home. Wow! What an amazing nursery! Everything is so beautiful! 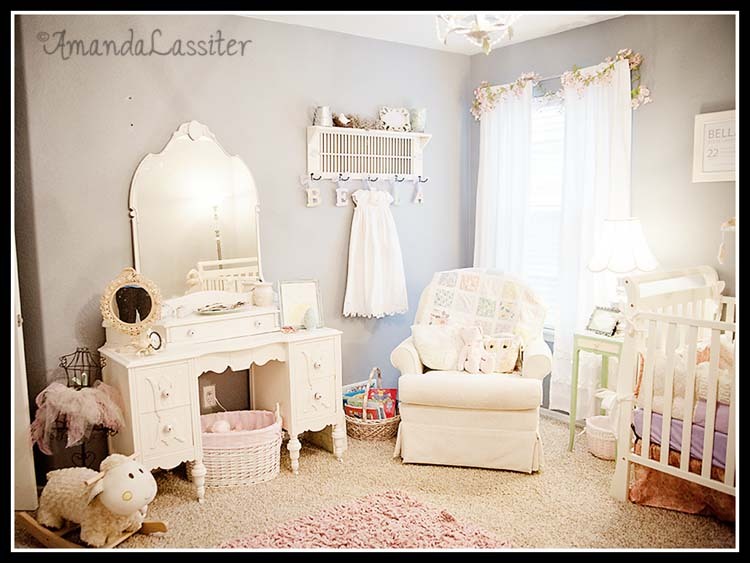 What a lucky little girl to have such a beautiful bedroom! This is just too beautiful. I love all the little details. it seems like such an inviting space! 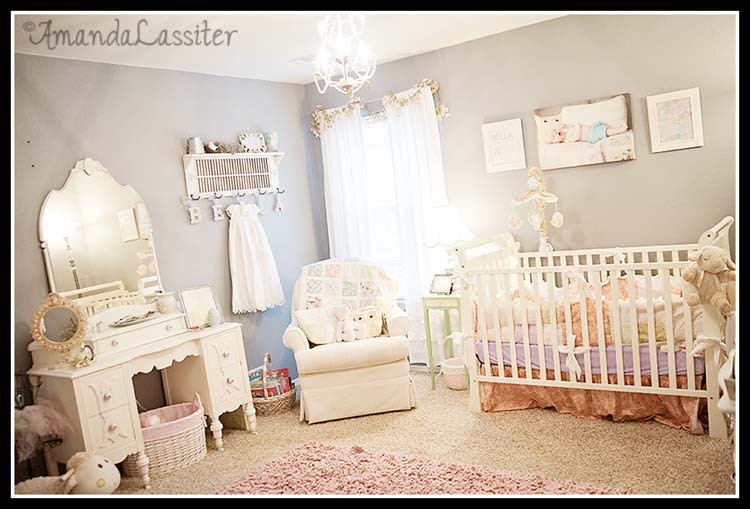 This nursery is a dream come true-so special for a little princess-congrats-I'm your newest follower-stop by for a visit! Also -- we would love to show you off on cupcakeMAG with an inteview as a featured blogger. Oh Casi! That would be a dream come true! I am e-mailing you now! Thanks so much for featuring me on Babble! I am giddy with excitement!!! LOVE the dresser with the lace look drawers. 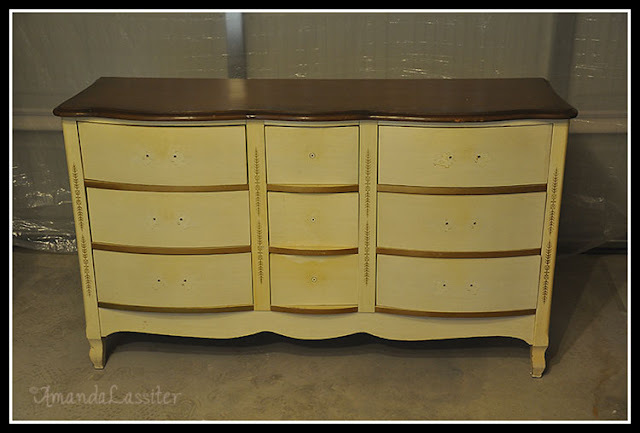 I assume that after the drawers are covered with lace the spray paint used over the lace is a shade darker than the painted drawer. I am attempting to do a dresser like you did right now. I am painting the dresser white. Just want to make sure I do all of the steps correctly. Would you please respond to the color of paint that you sprayed over the lace. Your paint brand and colors used would be greatly appreciated. Thank you. Yes I would LOVE this information too. What color of spray paint did you use? The dresser is fabulous! Love your Blog! 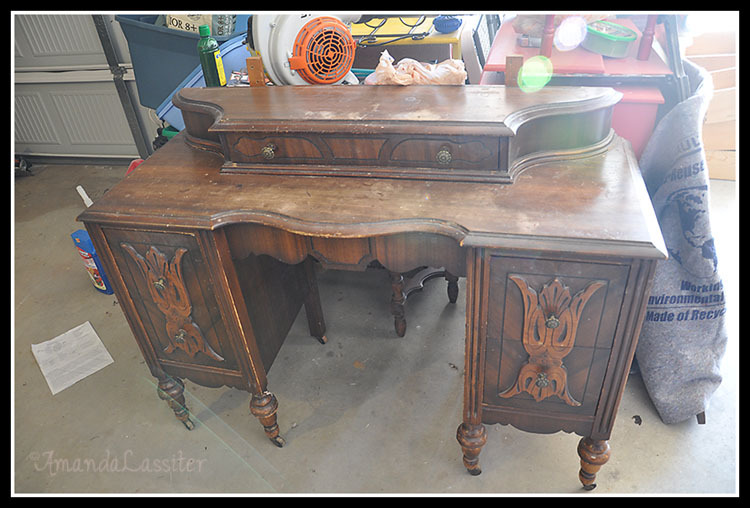 I have had great luck on craigs list and ebay for other items. I recently purchased a brand new, still in package global baby Lions, Tigers and Bears crib bedding set from ebay for $49. It retails for over $150 and is 100% cotton and washable! I plan to purchase some fun contemporary sheets to play it up. This nursery is gorgeous! You all did such an amazing job! I love the wall color, the carpet, everything! 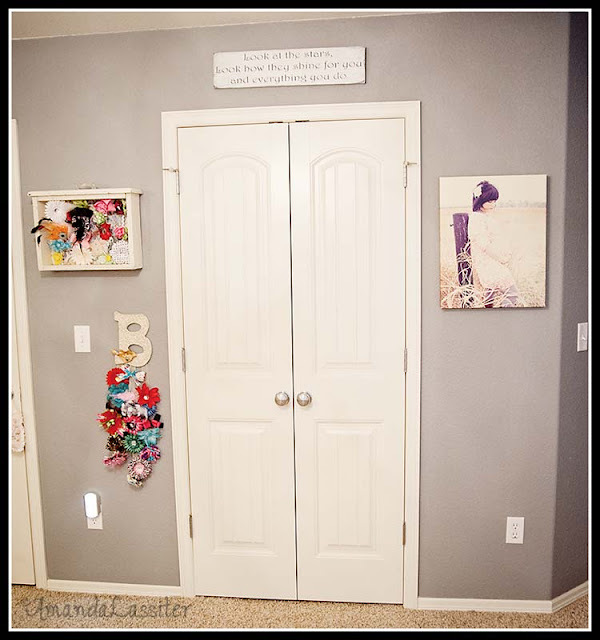 I am thinking about using the paint color for one of my rooms and I was wondering if you know what type/color the carpet is. I appreciate your help! Thank you so much! So beautiful!!! Every little detail I perfect! Would u mind sharing the white paint color you used on the furniture?! I painted a desk white a while ago and it looks yellowed....I am wanting to paint my a dresser and nigjt stand for my baby's nursery and would love to know your colors. Thank u so much for sharing this beautiful nursery!!!! I LOVE the chair! Where did you find it? what color did you spray over the lace? What color was used to spray over the lace? Stunning! Every little girl should have such a pretty room. I love Restoration Hardware's style. Love the grey! I love all of your unique touches to the room. 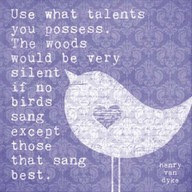 I have been painstakingly going through the same process and love the inspiration. Would you mind sharing where your Etsy prints are from. They are the ones surrounding the mirror. I am a new mom and novice housewife who is diving headfirst into a life of mommy hood and domesticity. I love anything and everything DIY! This little angel changed our world on Aprill 22, 2011.